This upscale city hotel is located at the meeting point of Jalan Tun Razak and Jalan Ampang in the mesmerising city of Kuala Lumpur. 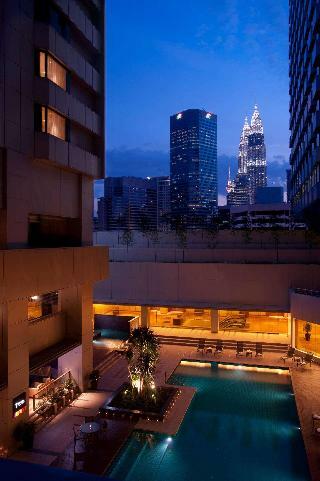 The hotel enjoys a prime setting close to the Petronas Towers, embassies and the Kuala Lumpur Convention Centre. The hotel offers the perfect setting for guests who are eager to explore the sights and sounds of the city.This spectacular hotel enjoys a reputation befitting the brand that its name carries. This majestic hotel stands proudly as part of the captivating Kuala Lumpur skyline, exuding grandeur and sophistication. 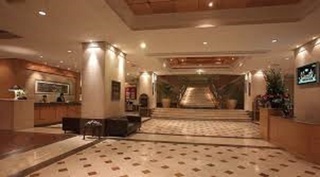 The hotel lobby radiates elegance and splendour, with its grand columns and marble design. The crisp, white interiors of the guest rooms create a soothing ambience, brought to life by vivid pieces of art which adorn the walls, offering a veritable oasis in the city. Conveniently located in Bukit Bintang, Kuala Lumpur's premier entertainment, food, and shopping district, Ramada Suites Kuala Lumpur City Centre is the perfect 4-Star hotel from which to experience Kuala Lumpur. KL Tower, Petronas Twin Towers, Chinatown, Little India, Rail Services and other attractions are just a short walk away, or easily accessible from nearby monorail and train stations.Each of the hotel's 108 beautifully appointed one and two-bedroom suites include every modern luxury required by business travellers and holiday-makers including free Wi-Fi and kitchenette with fridge, sink, microwave, and toaster. The hotel's self-service laundry, outdoor infinity pool, and Nio pool-side bar offer the perfect escape, while Hugo's KL, our ground floor restaurant and bar, features a delicious range of local and international cuisines and beverages. The hotel is ideally situated in the heart of the city's business, residential and entertainment districts. China Town is just 15 minutes away by car, whilst the Mid Valley Megamall is 20 minutes from the hotel. The international airport is approximately 45 minutes' drive away. Designed with the business executive in mind, the air-conditioned hotel offers a choice of 1, 2 or 3 bedroom beautifully decorated and well-appointed apartments. There are 226 accommodation units available in total, along with a range of amenities such as an entrance hall with 24-hour reception, a currency exchange facility and a lift access. A café, a restaurant and WLAN access point are also available. All rooms have individually adjustable air conditioning and are well-equipped as standard. Each suite has a fully-equipped kitchenette and a dining area. The lounge area comes with a comfy sofa and armchairs. 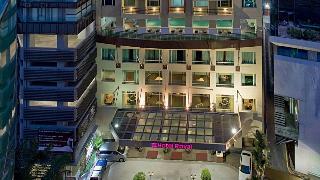 The charming conference hotel Royale Chulan Bukit Bintang is situated directly in the heart of the Golden Triangle. The main shopping centres Bukit Bintang Plaza, Lot 10 and Starhill are just a few minutes walk away as well as a host of business centres making it the ideal choice for business or leisure travellers. Enjoying a blend of old and new cultures of antique temples and modern shops and cyber cafes the hotel is a delight to explore. 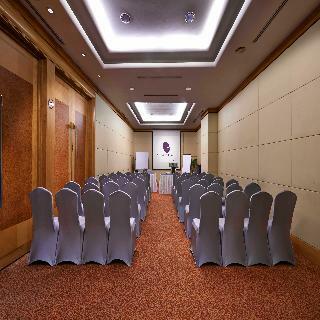 The hotel offers a well-equipped business centre, the Grand Royal Ballroom and 3 multi-functional spaces. The hotel also provides an experienced banquet team offering impeccable attention to detail to ensure the smooth running of conferences and functions. The elegant guest rooms feature a modern Asian style exuding relaxation and tranquillity. 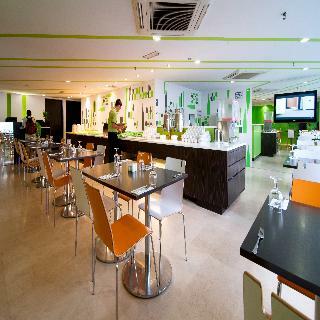 Le Apple Boutique Hotel owns and operates Le Apple Boutique Hotel (KLCC) and Le Apple Boutique Hotel (BB) which offers comfortable accommodation at the heart of Kuala Lumpur and it's highly recommended for leisure and business travelers. This friendly and hospitable 222 room's boutique hotel (KLCC), situated on a superb location opposite the iconic Petronas Twin Tower, Suria KLCC shopping Centre, next to Avenue K shopping mall with Finland 40,000 sqft. 2nd indoor Theme Park in South East Asia, KLCC Light Rail Transit station, walking distance to Kuala Lumpur Convention Centre and KL Urban Evening Street dining area. For vegetarian lovers the 1880 years old Guan Yin Temple opposite the hotel offers authentic healthy natural vegetarian food without MSG at affordable price. The hotel offers 140 Deluxe and 82 Superior rooms inclusive of Fusion Japanese Buffet Breakfast. The minimalist rooms also fitted with LCD flat-screen TV with satellite channels, coffee/tea making facilities, in room safe box and hairdryer included. The Balinese style en-suite bathroom features a separate shower with a five star hotel quality amenities. It also offers Free Wi-Fi throughout and a 24 hour front desk on site. For Transport and Tours arrangement please check with our Front Desk for special arrangements and attractive rates. Tour Desk is available to serves in house guests with airport transfers and attractive local tours. Strategically located within walking distance to the city's landmarks, Corus Hotel Kuala Lumpur offers guest rooms with free WiFi. 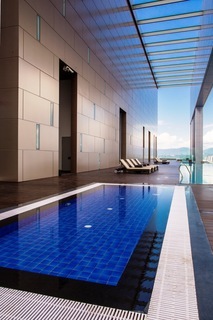 It boasts an outdoor pool, 4 dining options and a spa. KLCC LRT station is 160 m from the property. 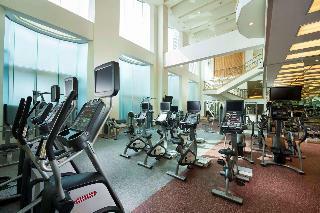 Corus Hotel Kuala Lumpur is 400 m from Petronas Twin Towers and 2 km to shopping malls in Bukit Bintang district. The nearest airport is Sultan Abdul Aziz Shah Airport, 30 km from the property. Casual dining is available at Dondang Sayang Coffee House, famed for its Hainanese chicken rice. Ming Palace Chinese Restaurant specialises in Szechuan and Cantonese dishes, while Japanese fare is available at Komura Japanese Restaurant. Wines and cocktails are served at Kencana Lounge and The Cellar. Sitting only 1-minute walk from Masjid Jamek LRT Station, this hotel is centrally located hotel offers easy access to the heart of Kuala Lumpur's commercial centre. Its guests will be just a 5-minute walk from the Jalan Raja where the offices of some major corporations reside. Those who want to experience something a little off the beaten path may decide to visit the Petaling Street area, which is just 2km away and besides its dining venues and food stalls houses numbers of street vendors that literally sell everything one can imagine. After a busy day of meetings or sightseeing the comfortable and trendy rooms of the establishment will provide its guests with everything they need to relax. They can cosy-up with a movie in front of the TV or browse the internet thanks to the WiFi access. 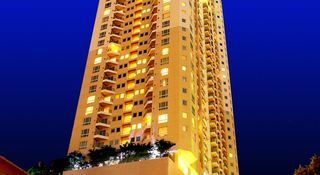 Located at the heart of the most famous area in Kuala Lumpur – the Golden Triangle, this hotel is within a true haven for shopping, gourmet dining and entertainment. Guests who want to experience all of it should just ask the friendly concierge to point the way to Bukit Bintang Praza or Sungei Wang Plaza, the shopping and gastronomic paradises catering to all walks of life. Business travellers can find China Town, Kuala Lumpur Tower and the Pavilion Kuala Lumpur all just a short drive away. This 20-storey downtown hotel offers a wide range of accommodation options and services which will surely satisfy all needs of its guests. The onsite Fitness Centre provides modern equipment in order to allow for the excellent workouts, while the pool is ideal for a relaxing swim afterwards. 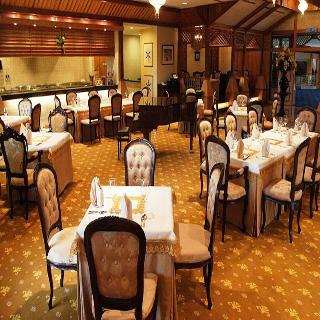 For dinning the onsite Coffee House serves a wide range of local and international mouth-watering delicacies.